A cool and shady climb up the north-facing side of Green Canyon led hikers to great views of Mt. Jardine and Logan Canyon, including the China Wall, Logan River, and Logan Peak. 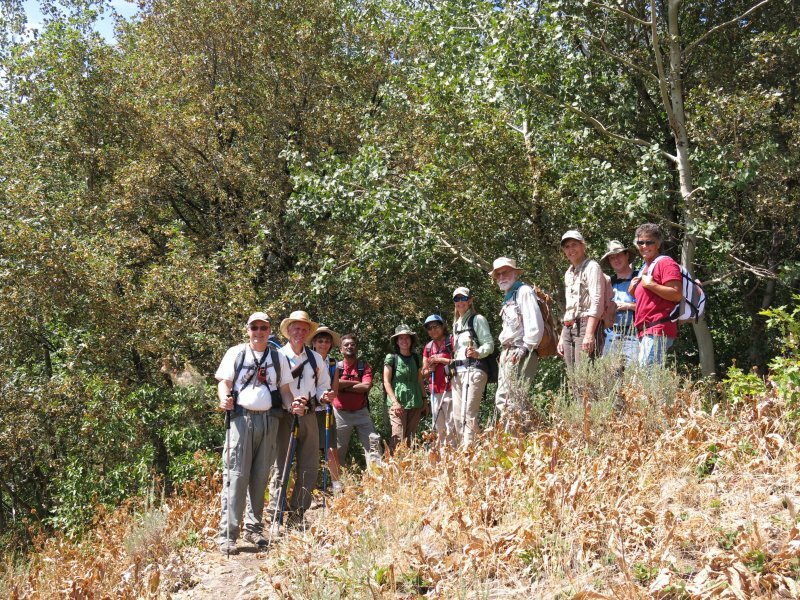 The group of eleven hikers included: Jane, Dave W., Anne, Jim, Terry, LaVae, Usha, Shivu, Joe, Dave P., and Florence. Ryan met us on the trail and hiked up to the ridge before returning to Green Canyon. 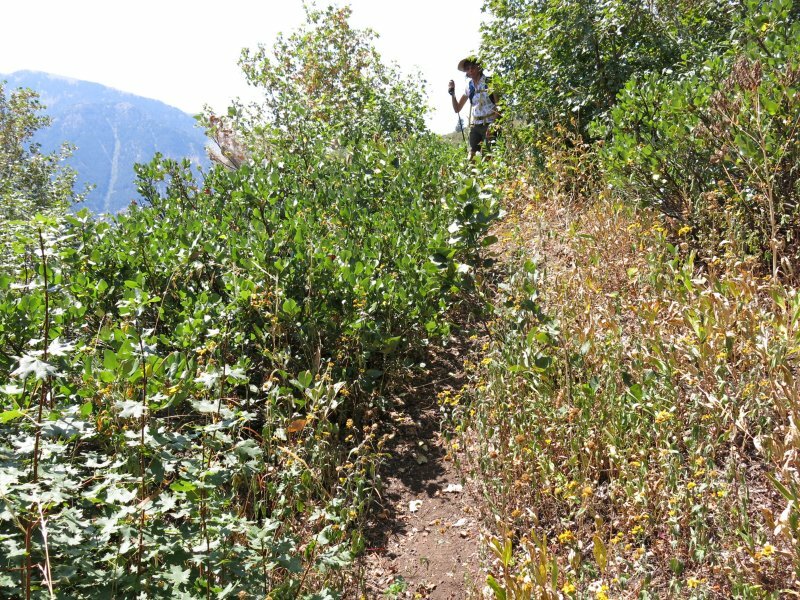 We hiked under maple, aspen, mountain ash, and Douglas fir, but most wildflowers were long gone leaving some crunchy foliage to hint of approaching fall. By noon we had all gathered at the ridge to rest and enjoy lunch and views. From the ridge we took the Wind Cave Way 3 miles to the Wind Cave Trailhead in Logan Canyon and a previously placed vehicle. 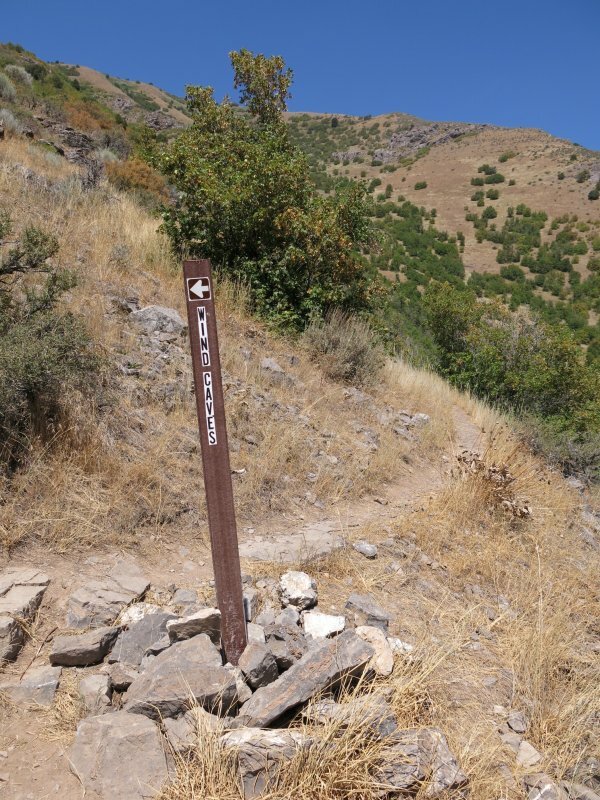 Patches of maples provided periodic shade, but much of the trail was open to Logan Canyon views and, at times, the Wind Caves in the distance. 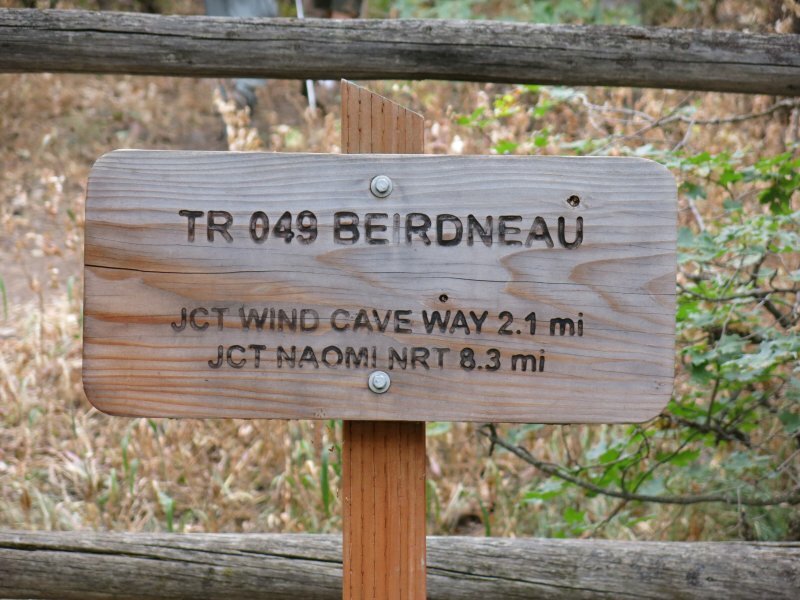 With some helpful radio contact, hikers took their own pace and arrived at the Wind Cave Trailhead in groups. Everyone was down by 3:30 and the car shuttle completed about 4:15. Click here to see our route using Google Earth.